HHS announced Thursday that John O'Brien will succeed the late Dan Best in heading the agency's prescription drug pricing reform efforts. O'Brien, a former health insurance executive, will serve as senior adviser for drug pricing reform to HHS Secretary Alex Azar. 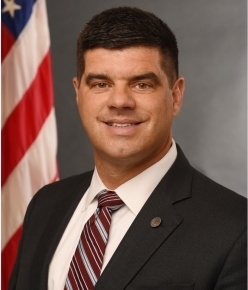 He previously served as Azar's adviser for health reform and drug pricing, as well as deputy assistant secretary for health policy within the Office of the Assistant Secretary for Planning and Evaluation. He will lead HHS' effort to implement Azar and President Donald Trump's recent proposal to drive down prescription drug rates paid by Medicare Part B by indexing them to the much lower prices paid by other advanced countries and changing the way physicians are paid for administering those drugs. HHS projected that the proposed demonstration, which has come under intense fire from the pharmaceutical industry and conservatives, would save the government and Medicare beneficiaries more than $17.2 billion over five years. Under the International Pricing Index Model, payments for Part B drugs, which are physician-administered medications, would shift to align more closely with prices in other countries. The model would be mandatory for providers in randomly selected geographic areas. In a blog post published Thursday, O'Brien defended the International Pricing Index Model against conservative criticisms that it imports price controls from other countries, threatens patient access to drugs, and jeopardizes new cures. He called the current Medicare Part B pricing "a crazy system" that "has to change." He argued that the administration's proposal would encourage drugmakers to negotiate prices with foreign governments that are more in line with what Americans pay and thus would serve as "the first effective tool against foreign price controls." The International Pricing Index Model "demo doesn't just seek to end foreign free-riding, it introduces competition and negotiation to Medicare Part B drugs," he wrote. "And it provides drug companies with a valid reason to walk away from the negotiating table when other countries demand low prices subsidized by America's seniors." Veteran policy watchers say they'd be stunned if the plan goes anywhere given pharma's deep pockets, congressional Republicans' coolness to the proposal and congressional Democrats' skepticism. But its chances improved with the coming takeover of the House by Democrats, who are more open to the concept and would like to extend it to Medicare Part D as well. In a written statement, Azar said O'Brien "will carry forward the legacy of our departed colleague Dan Best and build on the substantial progress that has already been made. John will continue to play an important role in our overall efforts to deliver Americans better, more affordable healthcare." Prior to his time at HHS, O'Brien, a pharmacist, was vice president of public policy at CareFirst Blue Cross and Blue Shield.